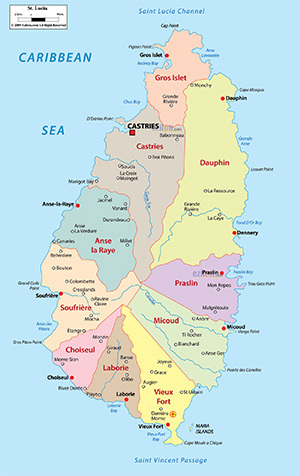 Saint Lucia is part of the Winward Islands, in the Eastern Caribbean. It lies between the Caribbean Sea to the west and the North Atlantic Ocean to the east. It is approximately 1300 miles southeast of Florida. Tropical, with temperatures ranging from the mid-seventies to the mid-eighties farenhieght. There are only two seasons. The dry season is from January to April. The rainy season is from April to December. 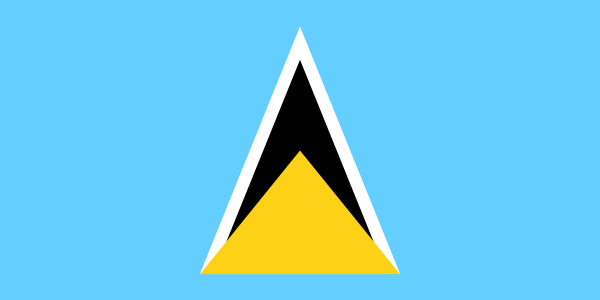 Saint Lucia's currency is the Eastern Caribbean Dollar.